Want to tell everyone on the London Underground how you're feeling? 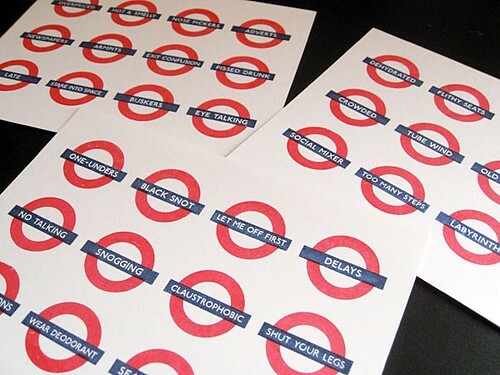 Just in case your face doesn't quite sum up the joy of Tube travel on a Monday morning, you might want to get hold of a set of "Tube Mood Swing" stickers. "Whenever you partake in a journey within London's 'Underground' subway system you'll undoubtedly experience a vast range of emotions generated from the experience. Riding the 'Tube' is not for the faint of heart and is certainly a character building experience and here I have presented a 3 piece set covering a range of 36 potential feelings (12 moods for each print), that more often than not compels a passenger to feel at least several times per ride." They're not all moods or feelings and the set would work a lot better if they were. It's definitely missing "Frustrated" and "Impatient". He could also do with more of the warning ones like "Wear Deodorant" and "Shut your Legs". 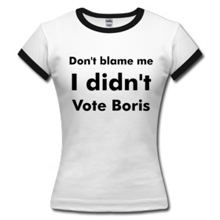 Although perhaps some of them are designed to be sneakily stuck on other commuters. If you've any other Tube Moods that you've experienced or think people should display on their journey, let us know.